Check out this cool slow motion video of a dog drinking water. Then read this article on Discovery, that explains why dogs are sloppier drinkers than cats. A German photographer captured these great photos of dogs posing in mid-air, you can view the entire slideshow here. 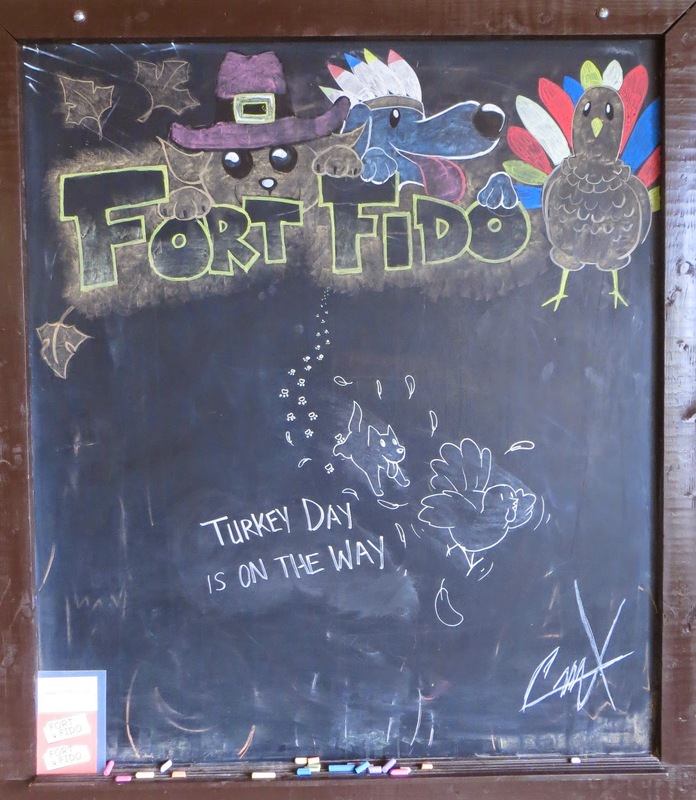 Happy Thanksgiving from everyone here at the Fort! I hope everyone has a great day with family & friends! For Fido welcomed Eddie in for his Assessment today. He is a eight year old, eleven pound, Terrier Mix. This dapper fella, strolled along with us to the Little Roll. Once therein, Eddie strutted around the play area in a calm and confident manner. After having him explore the place solo for a bit, it was time for Eddie to begin to meet the pack. Right away, he met with a handful of our members, communicating with them simply and easily. Eddie didn't play too much but he may in time. He did however, seem to enjoy his time spent here at The Fort. Eddie, well done today lad, we shall meet with you again soon. I am very pleased to show you more of Carlos' fantastic Artwork. 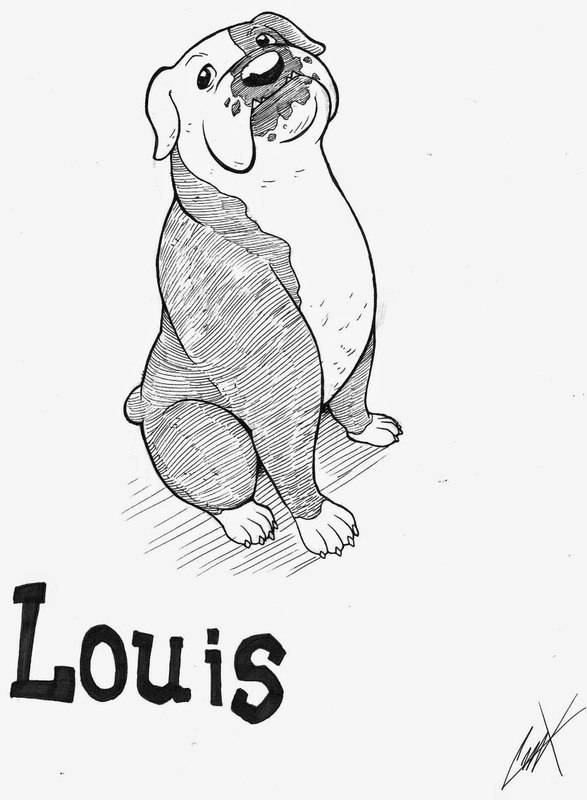 This time, we have extraordinary pen and ink renditions of Louis and the Fromms Dog... As well as a lovely continuation of his Thanksgiving Chalk Art. Man this guy is good, ya just can't look at his work without becoming happy lol, enjoy! Howdy! 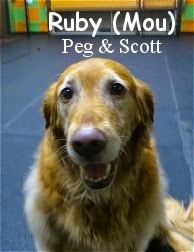 Get to know Ruby, she kindly, seven year old, ninety pound, Golden Retriever. This Dog Daycare regular, strolled into the Fort Fido lobby without a care in the world. We showed her to the Big Roll and she entered it happily, sniffing away. Ruby was eager to meet some other canines... After exploring the play area a bit, we had Ruby meet up with Dempsey and Reilly. She speaks "Dog" quite fluently, since she is such a socializing veteran. As seen below, Ruby got to playing with Cooper. As the day progressed and the Big Roll's pack grew, Ruby continued to be happy, enjoying the socialization and fun here at The Fort. Ruby did wonderfully and we anticipate her return! Stay warm and dry in this weather! Two cap off another busy, and new-dog-filled week here, we met up with Clara. She is a wiggly, nine month old, about twenty pound, black and white colored, Cocker Spaniel. She hung out in the Little Roll and didn't do half bad. She was a bit nervous at first, but after some time, began to calm down and become more comfortable with her new surroundings. When it comes to meeting up with other canines, Clara does well. She is a energy-filled, young, and happy dog, ready and willing to socialize. Clara played a good amount during the second half of her visit. She enjoyed chasing the other canines around during Ball Time. Clara is welcome to attend The Fort whenever she'd like. 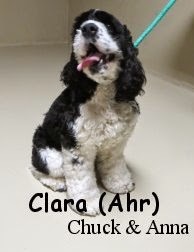 Given some time and consistency, we believe Clara can get even more out of future visits to Fort Fido. Super job today girl, we will see you again very soon! In the following clip, you can spot Miss Clara running around a bit, and enjoying herself. Take a gander at this endearing little canine, Angel. 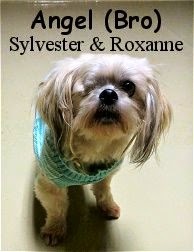 She is a sweet, seven year old, five pound, Lhasa Apso. Angel had her assessment this morning at The Fort. We had her visit the Little Roll, which turned out to be just right for her. A very nice dog, Angel, stayed cool, calm, and collected during her visit. It is clear that she has been socialized well, due to her easy-going attitude. Angel seemed pretty relaxed right from the start, which is always great to see... It's certainly not her "first time at the rodeo" lol. She met with the other canines gently and effortlessly, fitting into the group without a hitch. She didn't get involved in much play, yet she appeared to be having a fine time. We are happy to welcome Angel to our Little Dog Pack. Her well-balanced energy will really be beneficial up there! P.S. Ahhh, I almost forgot, one interesting fact about Angel, is that she only has one eye! Unfortunately, I don't have the story on that yet... I'll have to find out soon. That'll be the second Fort Fido Member with only one eye, neat. Like the three-legged canines we've met over the years, these one-eyed dogs, have also adapted magnificently. Checkout Gypsy! 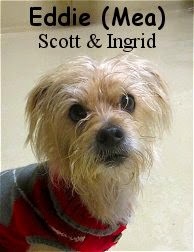 She is a spunky little, four year old, thirteen pound, Pug Mix, that assessed this morning. We escorted Gypsy upstairs to the Little Roll and got her situated right away. Up there, she got used to the joint quickly, and seemed to like her new-found digs. After a little time passed, we had Gypsy begin to meet the pack. She did a a superb job of "meeting and greeting" with the other canines. 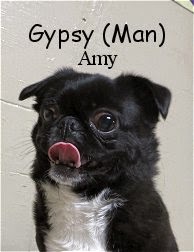 Gypsy is the type of dog that communicates and socializes well with others. As the morning progressed, Gypsy even played a little bit. For the most part though, she just hung-out and soaked up the experience. She thoroughly enjoyed meandering about and being with the other dogs. We believe that Gypsy will continue to get pleasure out of her time spent here at The Fort. She should prove to be a great addition to our Little Dog Pack. Way to go Gypsy, we will be meeting with you again shortly! Do dogs need coats in cold weather? Max is a striking, four year old, forty-two pound, three legged, Mixed Breed, that we assessed this morning. 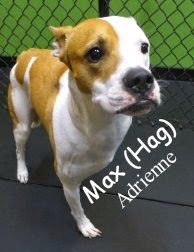 A rescue dog, Max has gotten lucky enough to now have a loving forever-home. Due to injury, Max had his front-left-leg removed this last September, but alas, he acts as thought he doesn't miss it, and it doesn't seem to slow him down at all! This healthy canine can still get moving with the best of them. We had Max hangout in The Fort's Medium Roll, which proved to be a nice fit for him. He is a gentle dog that communicates quite well with other dogs. He is only interested in socializing nicely, and having fun. Although we didn't capture it on film, Max did play a good bit towards the end of his visit, with a handful of different pack members. We think we are going to see a lot more of Max involved in play, in future visits to Fort Fido. He is a very calm and well balanced dog, no pun intended. He should prove to be a great addition to our ranks, his Assessment, was a great way to cap off a busy week down here. Swell job Maxwell! P.S. The Holiday Season is fast approaching. Be sure to get your reservations in for Overnight Boarding ASAP! Up for his assessment this morning, was little puppy-dog, Tag. 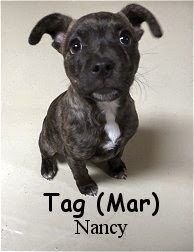 He is a fine, two month old, nine pound, American Pit Bull Terrier. He has been brought here to The Fort to learn how to be a good "dog's dog", to play, and to socialize properly. He''ll probably end up being a big boy, but for now he is itty bitty... So much so, that Tag had to stay in our Little Roll for this visit. Up there, he explored a little and did fairly well, but was quite timid around the other canines. At this point, he is more interested in people than dogs. We wanted to see him "bust out", but we had to remind ourselves that it was hit first day and that he is a very young canine. "First Days" can be overwhelming for anybody. Tag didn't play, however we know he will once given some time and consistency here at Fort Fido. He sure seemed like he wanted to. 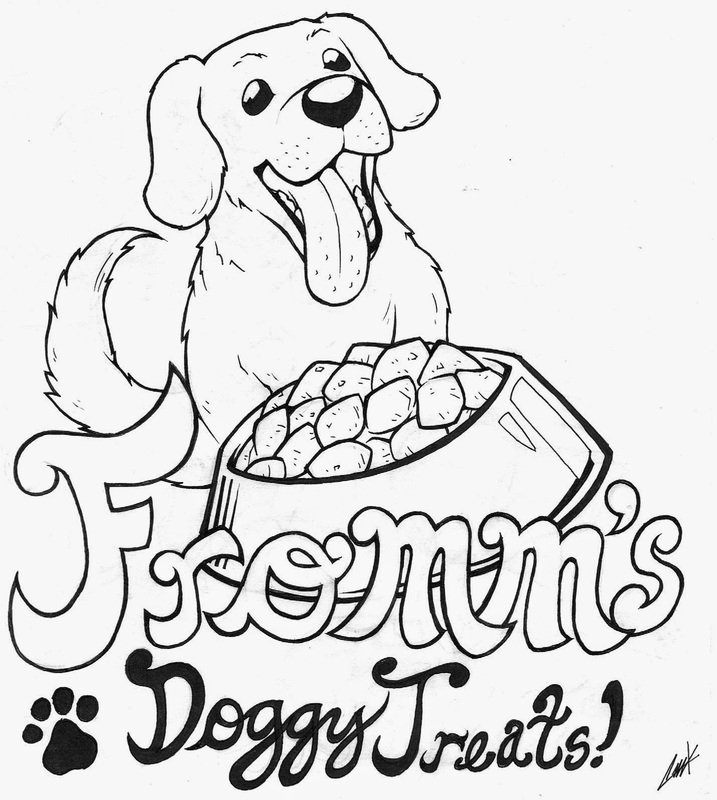 We commend his owners for socializing him early and getting him on the right track. As everyone knows, Tag's breed is caught up in controversy at times, yet, like any canine raising endeavor, the "nurture" portion, can out way the "nature" portion. It is are belief, that if the upbringing is handled properly, any canine, of any breed, can be social, happy, and healthy. Most importantly, Tag's owners will need to follow through with their comings and goings, and put in some more work, to ensure that Tag doesn't come down with any Separation Anxiety. When the work gets done, with all who are involved with Tag, there is no doubt that he can become a calm and well balanced canine... Just the kind of dog everybody is after. Good on ya today Tag, we'll see ya around. Dang, that's a cute badge picture lol! This morning the Fort Fido crew met up with the loveable Benji. He is a one year old, seventeen pound, black and white colored, Miniature Australian Shepherd and Maltese Mix. Benji followed us up to the Small Dog Play Area. Once therein, he explored the area rather quickly, then moved on to wondering what was next. Rusty arrived minutes later, and that was Benji's first chance to meet one of The Fort's key pack members... The two hit it off beautifully! Benji exhibits pretty good canine communication skills for a young buck, and it's obvious that he only wants to get along and have a good time. As the pack grew, Benji continued to fit in with the others and have fun. He really liked Ball Time and all of the toys we have to offer. We look forward to meeting up with Benji again in the near future. Here's a little clip of Benji having a blast during Ball Time. Today we assessed young pup Cooper. 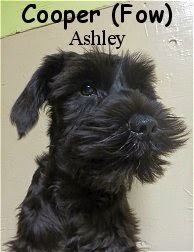 He is a very handsome, three month old, ten pound, black colored, Miniature Schnauzer. This little guy was eager to try something new, hence visiting us here at The Fort. Cooper hung out in our Little Roll and did just ok, after all, he is very young and new on the scene. Once he got to meet the other pack members, he was excited to play and socialize with them, yet he was bit held back by his need for "human attention". Cooper did however chase the ball around during "ball time", and did interact with the other dogs some... He even showed off some great "play bows". In order for Cooper to thrive at Fort Fido and at a home, he is going to need a consistent routine and strong leadership. 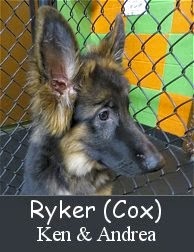 In no time at all he will be an adult canine, and we all want him to become a calm and well balanced one at that! Cooper is on the cusp of a battle with the dreaded, Separation Anxiety, yet, he can get through it, especially as his owner does the needed work to help him through it. Be well Cooper, we'll see you again soon. Have a great Veteran's Day, thank you to all who have served! Hector entered The Fort this morning, bright-eyed and bushy-tailed, ready to go for his assessment. 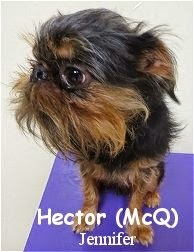 He is a very cute, three year old, ten pound, Brussels Griffon. We lead Hector upstairs to the Little Roll, so he could give it a go. Up there, he explored his new surroundings, not quite sure what to expect. After a bit of time, we had Hector meet a few of our pack members. He met with them graciously, but wasn't too terribly keen on getting into play. As more time went by, Hector, slowly began to get more interested in the other canines. He finally "busted out" into some play, with Miguel and Rusty, after a few hours of sticking to himself. It was really fun to see him get warmed up and in the action... Especially since we weren't sure that he would. Hector also seemed to enjoy our play toy, which he used for his amusement in "hide and seek chase games". All in all, Hector had a great first day at Fort Fido. He is welcome to come back at any time. Meet Chester! 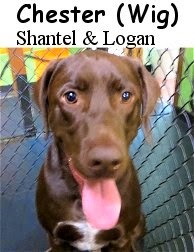 This cool, Chocolate Labrador Retriever dude, is about two years old and weighs eighty pounds. A high-energy "live-wire", Chester, leaped into The Fort's lobby, absolutely ready to get his play on. We shot him towards the Big Roll, where he entered blissfully. After letting him gather himself for a moment, we began to introduce him to the pack. Chester thoroughly enjoyed meeting and greeting with the other canines. His happy-go-lucky personality, makes him quite good at finding playmates... Even though he can be a wee-bit "intense" for some, due to his full-throttle play style. It was neat to see Chester feel so at home here so quickly, and the way he very-enthusiastically met with every dog that entered the roll, was a sight to see. I don't think Chester's tail ever stopped wagging during his visit! Chester played hard, played fast, played for a long time, and then played some more lol... With a multitude of our pack members. He is welcome to come here, and we must commend his owners for doing right by him. Chester, ya did a fine job today my boy, we'll see ya back at Fort Fido soon. A Navy SEAL and his dog rappelled into an NFL game! Fort Fido had Bella in for her Assessment this morning. 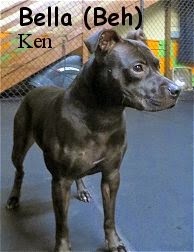 She is a two year old, forty-four pound, Black Labrador Retriever Mix. This strong and confident young dog-gal, did a great job inside of The Fort's Big Roll. After taking a few quick laps around the play area, Bella was ready and willing to meet the pack. She first met with the friendly Bounce, and the two hit it off into play quickly. As time passed and the Big Roll's Pack grew, Bella, continued to speak pretty good "Dog", and most importantly, continued to get along with the other canines. Once Mr. Reilly showed up onto the scene, Bella was "In Love" lol. These two really got to playing fiercely! We were even lucky enough to catch a video clip of the action. 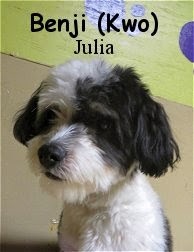 Bella is a busy and hard-playing dog, however, she is also quite sweet, and socializes very well with others. We're happy to have her here and look forward to her return. Well done Bella! Get a load of this first rate chalk art, from the man, Carlos! It was a lot of Winston, Rufus, Gus, Hank, and Tucker action today.